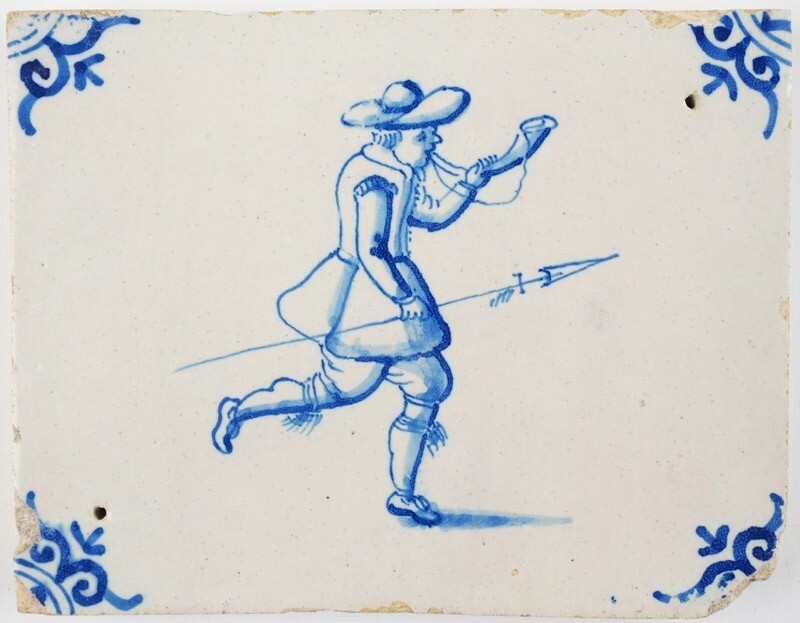 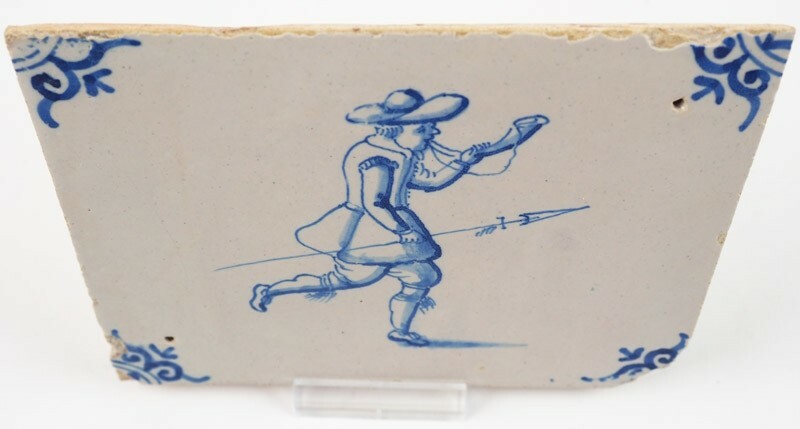 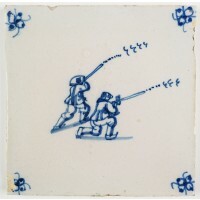 This rare and beautiful mid 17th century (c. 1650) Delft tile depicts a hunter at full speed. 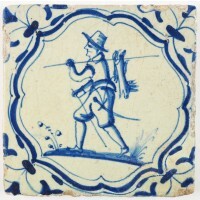 In his right hand he is holding a spear while he blows on a horn. 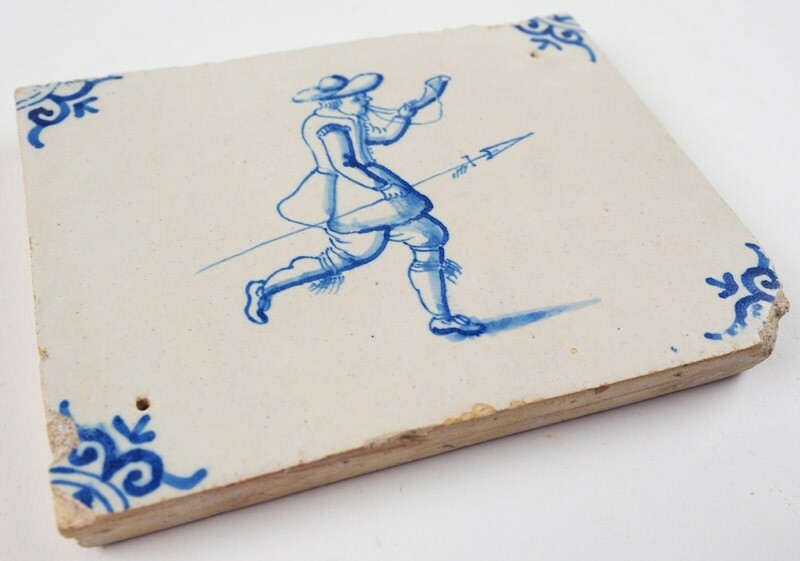 The tile is a border tile and therefore measures approximately 13 by 10 centimeters (5 by 4 inches). 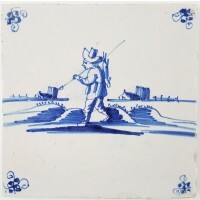 The tile is decorated with 'ox-head' corner motifs and in a good condition. 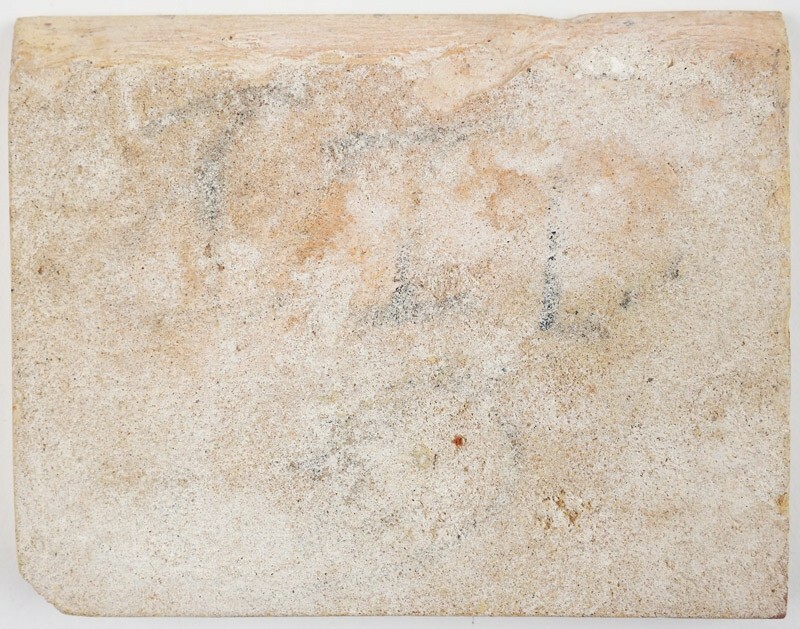 Do note the chips on the lower right and left corners.